Brighton Beach exemplifies the British seaside at it’s very best. 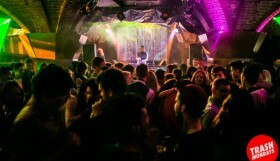 It’s positively heaving with great things to do all year round! Visit the iconic Pier or the Sand Sculpture festival, try your hand at Stand up Paddleboarding, sample the local seafood or just lie back and enjoy an unrivalled British seaside atmosphere. Need some refreshment after all that activity? Cool down in one of Brighton’s Top 5 ice cream parlours. 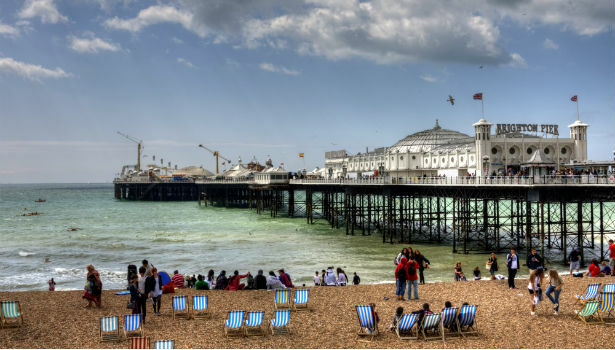 Check out our guide to the best things to do on Brighton beach, brave the crowds and the seagulls and make the most of Brighton’s world famous beach! The Palace Pier is a nostalgic tack fest in the best possible way! Enjoy a seaside fantasy of arcades, coasters, doughnuts, a carousel, and a sinister posse of sea gulls that are out to get you. Why not have a look at the skeletal remains of the West Pier. It’s just about survived several devastating storms and two fires becoming a landmark in it’s own right. It’s also the building site for the i360 a 175m high observation tower coming soon! 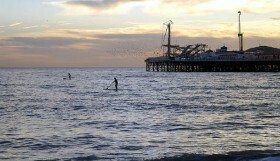 Don’t miss Paddle Round the Pier Festival at the West Pier every July. The Sand Sculpture Festival brings extreme sand-castling to Brighton beach every year. 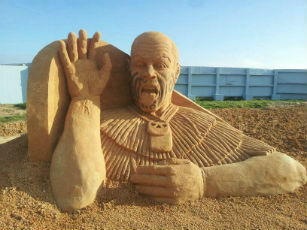 In 2014 the festival takes on a global theme with “Around the World… in Sand”, where from April until the end of September, visitors can experience the magical art of sand sculpture. The festival also hosts workshops, live demos, unique photo opportunities, a children’s sand pit, cafe and a gift shop. 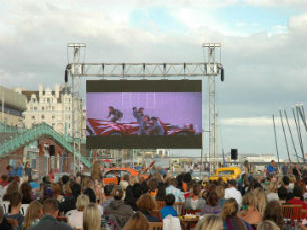 Brighton Big Screen is a massive, free, 40sqm outdoor cinema that comes to Brighton beach every summer. From 12 June to 13 July 2014, the giant screen will be showing a mixture of blockbusters and classics. Alpha Papa joins Bridesmaids, ET, Captain Phillips, The Hunger Games Catching Fire, Dracula and The Lego Movie on the line up. Brighton Big Screen will also be showing the World Cup. You’ve seen it’s fortress of pebbles but have you dared venture over it’s precipice? 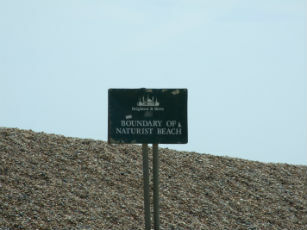 Get your kit off and let it all hang out at the UKs first Naturist Beach! Opened in 1980 it is officially known as Cliff Bathing Beach. Feel the sea breeze whistle through your unmentionables and be at one with glorious, nudey nature. It’s about half way to the Marina (left). Nautical themed bar The Fortune of War’s beer garden extends on to beach itself. 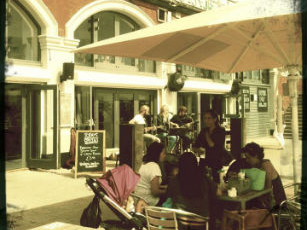 Ohso Social is a cafe/restaurant/bar with a huge courtyard of tables, with top Brighton DJs playing on the terrace. 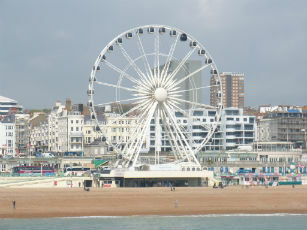 Brighton Music Hall boasts Britain’s biggest heated beach terrace and a first floor cocktail bar/restaurant. The Tremendous Tipi visits in Summer and Christmas with live entertainment and great food and the brand new Tempest Inn and Riki Tik’s Beach bar are also a must. 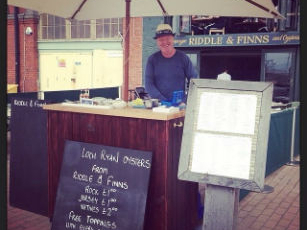 If you’re a brave soul seeking to gulp down an oyster, go to Riddle and Finns, a friendly, sit down champagne and oyster bar on the beach. Jack and Linda’s Traditional Fish Smokers are based at Brighton Fishing Quarter and do the freshest smoked fish sandwich in the city. Sea Haze Fishmongers sells their range of local catch, as well as stocking from further afield. 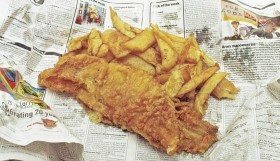 If you’re in the market for a traditional dinner of fish & chips, read our article on the Best Places to eat Fish & Chips in Brighton. Harry Ramsden’s is just opposite the Pier. 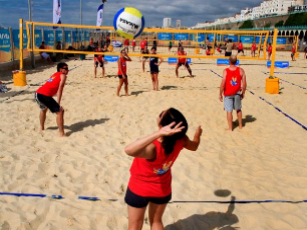 For actual real live sand go to Yellowave, a permanent beach venue where you can try beach volleyball, beach rugby, footvolley or beach soccer. Or reconnect with mother nature with a spot of Yoga on the Beach. If you want to venture out on the sea this summer, Brighton Watersports has everything you need to get stuck into all the best marine activities. Try Stand up paddleboarding wakeboarding, waterskiing and kayaking. 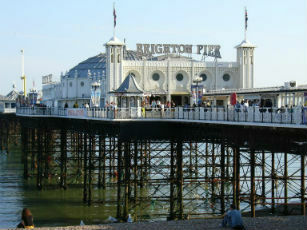 Brighton Diving, is the best place to experience the world of underwater Brighton. Celia Mullins I grew up in Cambridge but after studying History at Sussex University, I couldn't bring myself to leave Brighton! As well as writing for We Love Brighton I study Journalism and hope to one day make it as a features writer. Brighton is the perfect place to get inspired!